Gradual shifts in the mobile operating system (OS) landscape over the past several years has been a growing concern, leaving many enterprise and vertical-market professionals wondering which avenue to take. Identifying the best operating system for your needs, while looking at its roadmap and plans for the future can be a difficult task. Understanding this issue, we’ve collected some useful information to help you understand the roadmap of each OS used at Juniper Systems and what you need to know to make the most informed decision. Like most major changes on the enterprise level, some type of investment will need to be made regardless of the path you choose. Mobile data collection has seen a long run using many different versions (and nomenclature) of Windows Mobile and Windows CE. The last versions available to vertical markets were released many years ago and are still being shipped on new products today. Though the market for Windows CE devices (primarily those without a display interface) remains relatively strong, the demand for other legacy Windows platforms is rapidly decreasing. According to Microsoft, the current Windows Embedded Handheld 6.5 OS can continue to be shipped on new products until April 2022. While that is five years from now, the number of devices capable of running that OS is quickly declining. UPDATE: Up until April 2022, device manufacturers may continue to ship new Windows Mobile Handheld 6.5 OS licenses. However, Microsoft is ending support for the OS in 2019 and will not be fixing security issues. This means continued usability issues for users. Device usefulness may be limited to unique situations between now and 2022 as connectivity and compatibility with newer technology becomes increasingly problematic. For example, Windows Mobile Device Center, used to transfer files through a USB cable, continues to have issues with desktop computers running Windows 10 with each Microsoft update. To combat this issue, Juniper Systems developed Mobile Connect, a simple software tool used to maintain USB data transfer workflows for users who aren’t ready to migrate to Android. As Wi-Fi and other wireless communication protocols continue to evolve, interfacing with a Windows Mobile Device wirelessly will become increasingly problematic due to incompatibility. Juniper Systems strongly encourages users of small-screen rugged devices to move to Android as soon as possible and for new development efforts to be made on Android, as existing Juniper Systems Windows Mobile products are unable to be upgraded to an Android operating system. Juniper Systems is committed to partners working toward an Android solution for their software, but will continue to provide Windows Mobile products as Android solutions are in development. For partners ready to migrate to Android, the next generation of Juniper Systems’ popular Archer and Allegro devices will be available soon. Please contact Juniper Systems at sales@junipersys.com or your current account manager for more information and product release dates. 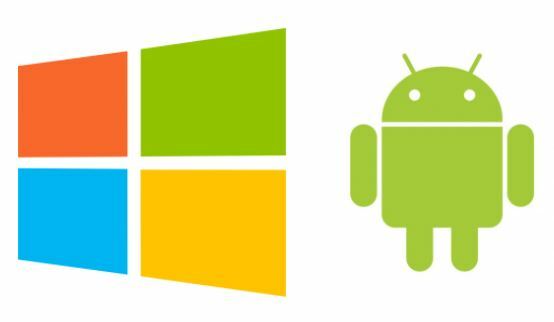 Microsoft released a newer mobile operating system, Windows 10 Mobile, in 2015 acting as a replacement for its phone operating system (Windows Phone 8/8.1). Windows 10 Mobile runs Microsoft’s new Universal Windows Platform (UWP) applications were intended to run across multiple device types. However, Windows 10 Mobile has shown some challenges for enterprise and vertical markets by lacking the ability to run Win32 applications, predominant today on current WEHH 6.5 platforms. This means developers are required to port their applications to the UWP codebase in order to run on devices with this new operating system. We understand this effort to be at least as substantial as porting a Win32 app to an Android operating system. Windows 10 Mobile is only supported on select Qualcomm ARM based architectures, significantly limiting the potential hardware devices that can run this operating system. Qualcomm also limits access to those architectures. Those architectures are predominately available for consumer devices and not ruggedized, purpose-built devices used in enterprise and vertical markets. Typically, in enterprise and vertical markets, devices used for mobile data collection utilize auxiliary sensors or additional features to capture data like barcode scanners, RFID readers, or proprietary radio communication devices. We have learned that driver support for these auxiliary sensors don’t often work well with Windows 10 Mobile or do not exist. Enterprise and vertical market professionals should thoroughly analyze hardware drivers for all needed sensors and features before making a large investment. *Currently, Microsoft is not sharing their long-term plans for Windows 10 Mobile. Though they have released some small updates to the OS over the past two years, they have remained relatively silent about its future. Due to this uncertainty and the other challenges listed above, many enterprise and vertical market experts are moving away from a Windows Mobile platform for their applications. We are steering in a different direction as well, confident that this decision will best serve our end customers. UPDATE: The head of Microsoft’s Windows division announced end of life for Windows 10 Mobile in October of 2017. For those that have a requirement to stay with a Windows platform, Microsoft has emerged with a new generation of enterprise OS platforms with refreshing stability previous Windows operating systems lacked. This robust operating system combines the suite’s traditional productivity strength with updated user interfaces and modern connectivity features, leading us to highly recommend Windows 10 for screens 7” or larger. As the industry standard OS for desktop computing, we are confident Windows 10 has an incredibly stable future. Driver support is extremely prevalent and hardware options are vast, unlike Windows 10 Mobile. Its IT friendly interface and standard Microsoft network security features all factor in to making Windows 10 the ideal choice for applications requiring a large touch screen with a robust operating system. A mobile user interface can then be written to make collection of data simple, fluid, and finger friendly. Just because it’s a full operating system, doesn’t mean the features of your program have to be small and only accessible with a fine tip stylus. Juniper’s Mesa 2 Rugged Tablet was designed from the ground up to work as a highly productive and capable mobile device. This is a great choice for those who have a requirement to stay with a Windows platform for their mobile needs. According to a VDC research study, the number of rugged smartphone devices running Android has increased by 13% from 2015-2016. Because of Android’s active app development ecosystem, we are confident the future of rugged devices with screens smaller than 7” is gravitating toward Android. We’ve seen this first-hand as a large majority of Juniper Systems partners select Android for smaller screen device applications. Though some organizations are hesitant to use Android because it is perceived as a consumer OS with less security features, Android is extremely open about the steps it’s taking to address these concerns. We see a strong future for Android devices in enterprise and vertical market applications, so keep a look out for the Juniper products you’ve grown to love running on Android in the near future. We have had some customers ask about iOS from Apple being an option on Juniper products, but unfortunately this operating system is not available on non-Apple products. In summary, Juniper Systems expects its product offering to provide both an Android and Windows OS options across its product lines going forward. 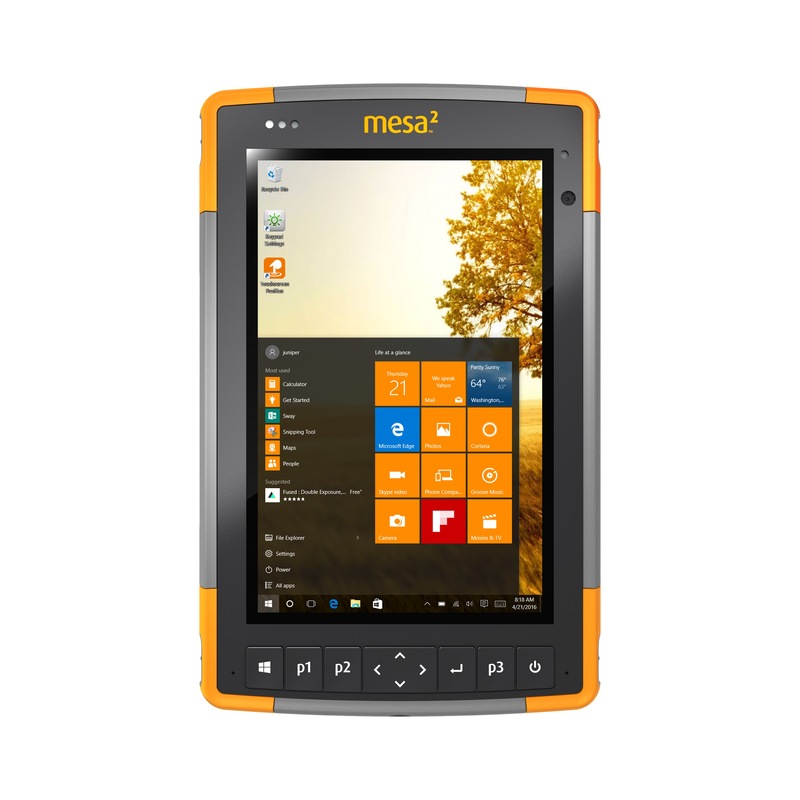 In addition, some product lines may offer both, like our Mesa 2 Rugged Tablet that runs Windows 10 or Android. This information has the intention of serving as a guide to help you begin thinking about which direction best suits your needs as you make decisions on future mobile operating systems. If you have additional questions concerning OS roadmaps and which option best suits your situation, feel free to call us at 435-753-1881 or by email at sales@junipersys.com, and we will be happy to answer any questions you may have. Nate Holman is the VP of Sales and Marketing at Juniper Systems, where he works to provide products and solutions to customers that work in extreme environments. With over 13 years of experience in the rugged mobile data collection industry designing and developing products and solutions, Holman has developed a passion for helping optimize customer workflow. According to Holman, fully understanding customer needs is the key to providing value and best serving the customer. Other interests of his include spending time in the beautiful Utah outdoors with his wife of 13 years and four children doing water sports, snow sports, mountain biking, golfing, and hiking.